(Becky Peabody Estepp, parent) I have a son named Aaron who’s twelve years old. Ten years ago this week, he was diagnosed with autism. We’ve done many biomedical treatments throughout the years, also some complimentary traditional treatments, and I would say he’s about 75 percent recovered. We haven’t made a full recovery, but the boy that he is now is nothing like the boy he used to be, and I’d like to share my story. We found out Eric had autism October 6th, 2000. It wasn’t because a doctor told me; in fact, it was because of a visit I had to the pediatrician’s office with my infant. At the time, it was his sixth month checkup, and the doctor said, “How’s it going?” and I said, “Oh, the baby’s fine. I’m having a terrible problem with my two-year-old. He’s tantruming a lot, only wanting to do certain things – you know, a lot of repetitive behavior – but really, the tantrums are becoming uncontrollable.” And my doctor told me that I needed to spank him and spank him severely for such behavior. And I was exhausted, having an infant and a two-year-old that was constantly having bad behaviors, so I thought about that advice. But later that night, Eric woke up in a fit – screaming fit – just like the tantrums he was having during the day, and I realized he wasn’t trying to manipulate me with this behavior. I realized something was actually wrong, and there was no way I was going to hit my baby. And when I think about that now, that the one person he trusted most in the world would be coming in, and I think he was screaming out of pain; in fact, I know that now. It’s almost too much for me to bear to think about. 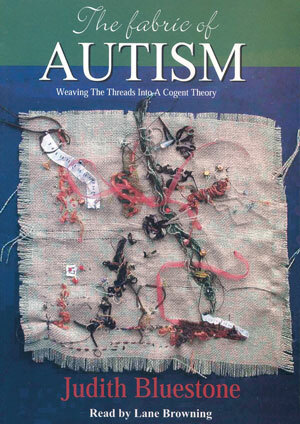 But what I did in the morning is I went to the “What to Expect the Toddler Years” book, and I looked up autism because I had heard about autism in a couple of articles that I had read. And they had a checklist of all these different behaviors. And at that moment, I could put a check in every single one of those boxes. And no one had to tell me that my son had autism; I figured it out right there. And I looked up at my husband and I said, “Eric has this,” and I read him the checklist, and my husband said, “Yeah, he does.” I called right away to the pediatrician’s office and insisted on a visit that afternoon. They said they were too busy because an autism check was not going to be something like an ear infection check and that I’d have to wait until Monday to see them. We went there on Monday. I told her what I thought, and this pediatrician… It was a practice with a lot of pediatricians. This pediatrician said, “Oh, yes. I think he has autism.” And I said, “Well, what’s his prognosis?” and she said, “He’ll be sheltered later on in life.” And that should have crushed me, but I don’t know what happened that moment. I did know that these were the people who just told me a couple of days ago that I needed to spank him or that these are just behaviors, and now I just mentioned the word “autism,” and she banished him to a life of institutionalization. And I realized that these doctors in this medical practice knew nothing about my son’s condition, and I left knowing that I wasn’t going to listen to a word that they said and it sent me on a quest to help this two-year-old. This two-year-old in the year 2000 – it wasn’t like we were crossing the prairie or something. This is modern times, and this is a two-year-old that had his life ahead of him. So the first thing I did was start searching on the Internet. I live in San Diego, California, so luckily, there was the Autism Research Institute, and I started learning biomedical treatments. I learned about the gluten-free casein-free diet, and we put him on that right away. And we just hit the ground running with him because we had so much hope for him, and we knew that he had autism most definitely, but he had some strengths. He had speech. It was echolalia, but he could speak, where some children have apraxia, and they’re unable to speak. We knew, since he had speech, that he would be able to have a back and forth conversation at that time. And it was funny. When you learn about this whole new world, you’re not sure if someone’s trying to sell you magic beans. And we’re a conservative-type family. 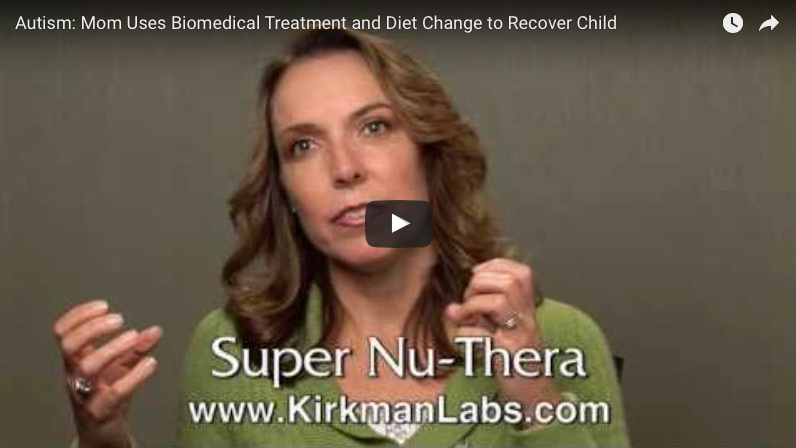 We think out our decisions, and I remember finding out about Super Nu-Thera; it was a Kirkman vitamin that had a whole lot of vitamins and nutrients that a lot of kids with autism were missing. And we gave it to him – well, I gave it to him. I didn’t let my husband know because I needed an unbiased opinion. And after the first day on Super Nu-Thera, he looked up at the wall and pointed and said, “What is that?” and I almost fell to the floor because he pointed and he asked me a question. We had reciprocal communication. And after that, I knew this was our journey. We had to keep going. And I knew not always would I have a homerun like getting reciprocal communication, but with a lot of dedication and patience – and unfortunately a lot of money because this was ten years ago and insurance didn’t cover a lot of things and it still doesn’t to this day, which is a whole other topic altogether – but I knew this was the path that I needed to go forward on with my son. And I was flabbergasted at that moment. I thought, “What in the world did I just get into?” I’m in this alternate universe where pediatricians don’t want to help kids with significant problems? So luckily, that was in November, and my husband could change insurance plans at the beginning of the year. So we switched from an HMO to a PPO, which I suggest a lot of new parents do because you want to be making your child’s health decisions, not an HMO. And our Defeat Autism Now! Doctor took…or we could get reimbursed 75 percent of his visits. 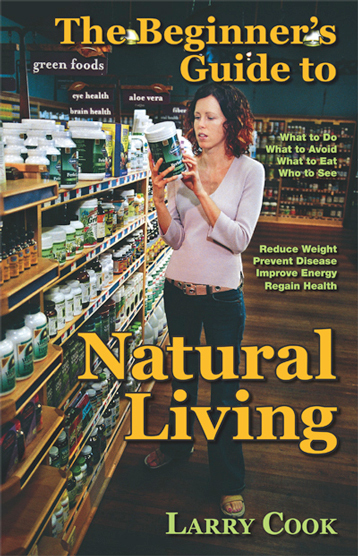 And the first thing he did, we had started the diet that he really helped us hone in on it, and we went and did a lot of labs seeing what was going on with Eric internally and we found a lot of yeast overgrowth, bad gut bugs, a really out-of-whack copper-zinc ratio. Our DAN! Doctor just became like a detective. What’s going wrong in our child? And I’ve worked with many families – there are actually probably thousands of families over the years – mentoring them, and every child is different. So when someone asks, “Hey, what worked for your son?” Well, this is what worked for my son, but your child is probably going to be different. So it’s really important that you work with a doctor and that you’re doing these labs to look at what’s going on with the child because you want to address those problems specific to the child. January 1st, 2001 was our D Day – diet day. That’s when we started with the gluten-free casein-free diet. At this point, my son was having a lot of gastrointestinal distress. When I heard about the diet, it made perfect sense to me that changing his diet could help alleviate some of these alternating constipation and diarrhea issues. So I was really, really on-board and eager to start this diet. We started it, and I want to say it was hard. Looking back, it was hard, but it gave him such a benefit and it was very beneficial that he was so young. He had not turned three yet, so manipulating his diet was fairly easy. The first thing that we got was better sleep. He wasn’t waking up screaming at night like he was before, and later, what we found out was he was having most likely reflux because he was reacting to the bad foods that he was eating. He stopped having mystery fevers. For some reason, before the diet, he was sick constantly. We changed his diet, and he was no longer sick all the time. And he started feeling better, and then he started behaving better. And when he began to behave better, he could learn and knew we were on the right track. So we started with the diet. And then another thing we added in was cod liver oil, which was just this huge benefit for him at the time. He was doing this really kind of odd sideways glancing thing where he’d look out the side of his eyes and it was disturbing to watch. It almost looked like he was tripping out or something, you know. And I gave him cod liver oil; he never did it again. It was amazing, and it was just something that my husband and I knew we just had to keep on this track. Then probiotics were added to give him beneficial bacteria because he was just overrun with bad bacteria in his gut. That made him stronger, and I think that really helped support the immune system. Through our visits with our Defeat Autism Now! Doctor and all the labs that he requested, we found a lot about what Eric was missing in his blood work, in his stools. We became the detective, and we saw where there were deficits and we supplemented lots of different vitamins to get his levels up. So it took about a year and a half, maybe two years, to the point where we wanted to start chelation to draw out the heavy metals. Now, you have to remember: This is probably in 2002. There weren’t a whole lot of chelators out there. We didn’t have a lot of choice. So we did an oral DMSA and cognitively, man, he was waking up. There were wows. His ABA therapist couldn’t believe the difference there was on the chelating weekends. But the downside was the oral pathway for him; it was too hard on his stomach. The gut bugs started coming back; he started cramping. And that’s when parents really have to monitor their children very closely and realize what is not acceptable – what is not an acceptable side effect. And it was apparent, after a few weeks, that oral chelation was too much for him and we had to stop. I let the doctor know right away, and we both came to that decision. But we kept going on, and we kept always, I mean, on the diet. We’ve been on the diet almost ten years now. So he’s always on that, and he’s always being supplemented. So the next step after the oral chelation was getting a colonoscopy because still while he was doing so much better, he was still having GI issues. And at a Defeat Autism Now! Conference, I heard a man named Dr. Krigsman speak, and he was showing videos of children having unbelievable tantrums, and then he equated it to gastrointestinal pain. And that hit me like a ton of bricks. When you talk to ABA therapists – you know, behaviorists – they would tell you that child is just acting out, craving attention. And I realized there is no way they’re craving attention. Those children are in pain, and it’s almost ridiculous that you’re making them sit at a little table and sort shapes when they’re in that much pain. The thing that got to me was he showed a child bending over the arm of the sofa and was saying they were doing that to alleviate the pressure in their intestines. When I had been told by an occupational therapist that Eric didn’t know where his body was in space – his proprioceptive system was off. And I thought, “Oh, my gosh. No, it’s not. He’s trying to alleviate pain.” And I knew right away I needed to go see this man. So we had Eric scoped in 2003, and that was one of the best treatments we ever did. And it’s kind of funny because it’s actually mainstream health. He had a colonoscopy. They saw inflammation throughout his GI tract. He had nodules. He was diagnosed with lymphoid hyperplasia and was given a mainstream drug to take down the inflammation. He was on that drug for a while, and he didn’t need it later on and it really made his life so much better. There was no more cramping; there was no more leaking; no stools; and it turned him into a child that was feeling so much better that he could attend school and learn. And I will forever be grateful to Dr. Arthur Krigsman. After having Eric’s colonoscopy, I still wanted to do chelation, but I realized that oral chelation was just too rough on his system and getting his gut into a good place, I wasn’t about to challenge it again with another oral chelator. So years 2005-2006, we did a transdermal DMPS. Transdermal DMPS is a lotion that I would just rub on this forearms. Gosh, every other night, I think, was the protocol. And it was pretty effective, but at first, we had some bad behaviors. But you kind of know that something’s working when the child’s shaken up a little. So he was a little rambunctious, but I could live with it, and we kept going until we didn’t see any more improvement. It helped him for a long time, but then I think he got a tolerance to it. We were doing tests, and it wasn’t as much mercury as I would have thought. I believe we had cadmium coming out. So it wasn’t as much mercury as I would have thought, but you know, we saw improvement until we didn’t any longer and decided maybe that pathway of excretion, we’d hit as much as we could. And then later, we chelated again with Dr. Boyd Haley’s product OSR, and that was an oral chelator that was not harsh on his stomach and that just really showed a slow, steady improvement. I really think that was a fantastic product. The FDA just took it off the market, which makes me really sad. It was not a dangerous product at all, and I have a feeling that that had a lot to do with politics than it had to do with people’s health. And unfortunately, that’s the state of affairs in our country right now. But if it comes back on the market, I highly recommend it because it was safe, gentle, and we saw many improvements. We’ve done transdermal glutathione; we’ve done oral glutathione; we just want to keep those glutathione rates up. I know I gave birth to a typical child. We had a period of complete perfection, regular development, but he reacted to his normal childhood vaccines, and because of that, I’ve spent the last ten years talking to people about an overaggressive vaccine schedule. I also am extremely worried about simultaneous vaccination not being completely studied at the time of licensure. I think every parent should know that. I think every parent should fall to their knees when they realize that – that the CDC had to admit that they do not study these vaccines in combination together. They look at them individually; they find out individually they’re safe; but that’s not how they deliver them. They deliver them in combination. And the fact that the government – that the American Academy of Pediatrics – will not listen to the tens of thousands of parents reporting vaccine reactions and then regressions, and then their children getting diagnosed with autism is despicable to me. I’m very angry about that because I feel like the minute I knew what happened to my son – and we have tests to prove that – he has no titers to any of the vaccines he received except the mumps and rubella, but he received the whole schedule. He doesn’t have titers, so he got all the vaccines and none of the benefits. And the fact that they won’t look at this and listen to the parents is horrible. It’s not right. And the moment that I realized that this happened to my child, I knew I’d be a bad American if I didn’t speak out about this. I’d be a horrible person if I didn’t warn others. And since then, the day that my son got diagnosed by myself, not by my pediatrician, I was told it was one in 10,000 children. Here we are in 2010, and we’re at one in one-ten. Of course, that statistic from the CDC is from 1998, so they’re letting a statistic from the Clinton Administration be what is current out in the country today when this is the same entity just last month put zero in on eggs in Iowa that contained bacteria. You know, they can find E. Coli on a leaf of lettuce in San Joaquin Valley within days, but they were really supposed to believe that they have no idea what the autism rate truly is in the children born today? We have to rely on a 1998 statistic. This is insanity. This has to change. We have to take our children’s health back. We need to do this. Hey, doctor, my child was vaccinated in 1998 and ’99, which had some of the highest mercury content in the vaccine schedule ever, and he’s showing all of these symptoms that they call autism. But if you look up mercury poisoning, it’s the same, and you’re told that it has nothing to do with it. 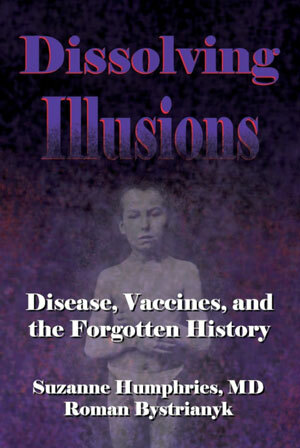 And I looked up the vaccines he received – the brands – and at his two-month checkup, he got 40 times the EPA limit of mercury exposure for that day, and at four months, he got 50 times. And it’s amazing that any child got through that unscathed. Amazing. But my child wasn’t one of those. He, I think, had a cumulative effect of these heavy metals building up in his system. And 40 times, 50 times. That’s just unacceptable, and someone was asleep at the switch. So mercury, it’s laughable when you hear that the American Academy of Pediatrics will say that it’s safe. 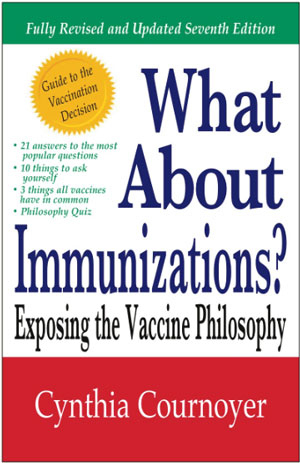 Well, then why in 1999, did you say that it needed to get out of the vaccine schedule as soon as possible? You know, if it’s safe, then why isn’t it in all the childhood vaccines again, or are you talking out of both sides of your mouth? I think you’re talking out of both sides of your mouth is what’s going on because this is the second most toxic substance on earth. This is the same element when you’re in middle school and somebody breaks a thermometer in lab. The whole building has to be evacuated. And I always hear about the tuna fish analogy: Pregnant women aren’t supposed to eat that much tuna because of the negative effects it could have on the fetus. That’s bad mercury to you mainstream experts, but the mercury that was injected straight into my child’s arm is the good mercury? There’s no good mercury; there’s no bad mercury. It’s mercury. It’s bad. And in fact, I’m more concerned about the mercury that was injected straight into your body because inhaled mercury or ingested mercury, that has a system that has an entrance and an exit, but when you inject it straight in, there’s nowhere to go except for into the tissues, into the organs. And it’s fat soluble: it doesn’t last too long in the blood. It embeds in the organs. And that is exactly what is happening to these children. They’ll do a blood test and see there’s no mercury in the blood. Well, no, because it embeds really fast. So the fact that there are still 25 micrograms in the flu shot and the flu shot is recommended for every American? The flu shot is recommended for pregnant women? That is insanity. That is capitalism gone awry, you know. It’s this horrible, unholy alliance of public health in capitalism, and we’ve got to take our health back. We have to. I wholeheartedly recommend doing biomed for your child, especially if you have a child that was typical for a good chunk of time and then you saw a regression or a plateau of development because, to me, that suggests injury. And if you can treat the injury and get your child back onto health, it’s a lot of work, but you know what else is a lot of work? Caring for a severely disabled child for the rest of their lives.